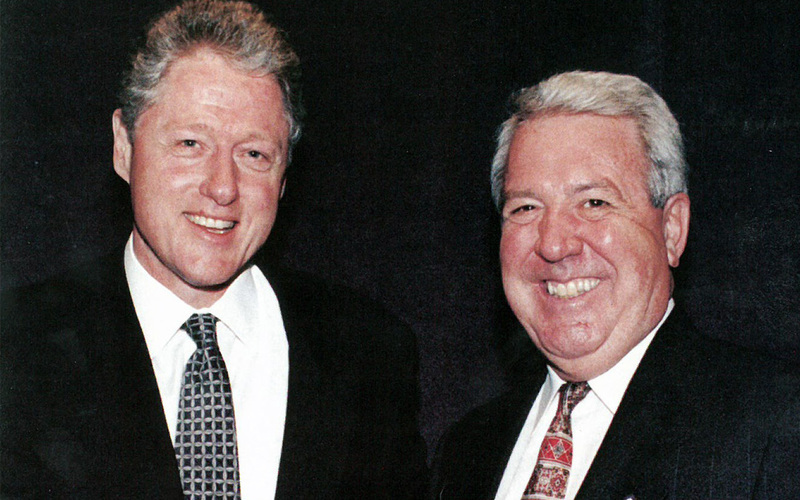 Max Sproles, who as ARTBA chairman in 1997 personally pressed President Bill Clinton on the need to increase federal highway and transit investment, died Aug. 16. He was 81. Sproles, a registered professional engineer in multiple states and Washington D.C., began his career in 1958 at the federal Bureau of Public Roads—today’s Federal Highway Administration. He later held several key management positions with the North Carolina State Highway Commission. In 1970, he joined the Association of American Railroads, where he was executive director for highway-rail programs. He later spent 10 years as a vice president with Deleuw Cather and another decade with Frederic R. Harris. Since 2000, he was an AECOM senior consultant. Sproles held a number of other leadership positions with ARTBA, including co-chairman of the Russian Project Advisory Committee, president of the Planning & Design Division, chairman of the Railroads Advisory Council, and chairman of the Intermodal Subgroup of the 1995 ISTEA Reauthorization Task Force. In 1998, he received the association’s highest honor—the ARTBA Award—in recognition of his leadership in the passage of the TEA-21 surface transportation law. Until his death he continued to serve as chairman of the ARTBA Tellers Committee, which was responsible for counting the votes and certifying the annual election results for ARTBA’s officers and directors. ARTBA extends its deepest sympathies to Max’s wife of 60 years, Wanda, and the entire Sproles family.